Set to make its world debut next month at the 2019 Geneva International Motor Show, it's our first glimpse of the brand's first-ever production model. The last time we saw a production auto bearing the Lagonda nameplate was earlier this decade, as a long and eye-wateringly expensive luxury sedan named Lagonda Taraf, based on an Aston Martin Rapide. Get ready for an all-electric, super-luxury SUV with some serious British heritage, as Aston Martin promises a reveal of the off-roader that will relaunch its Lagonda nameplate. 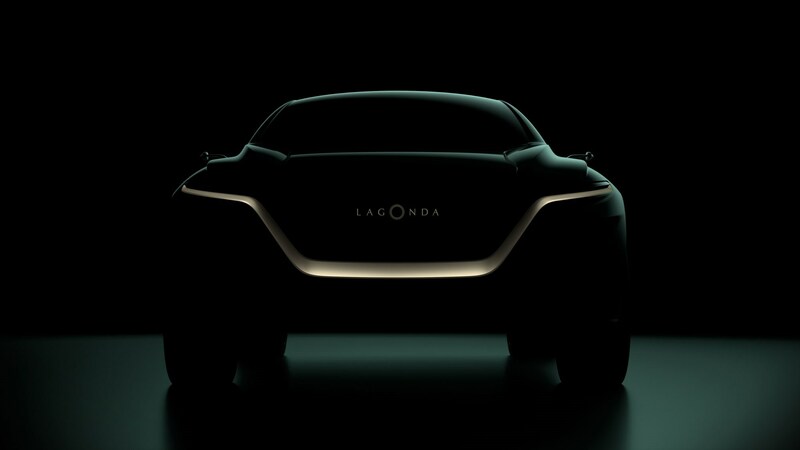 The Lagonda All-Terrain Concept will share its platform and drivetrain with the Lagonda Vision Concept sedan which made its debut at the Geneva International Motor Show past year. The British vehicle manufacturer will also display a new Vantage, DB11 AMR, and DBS Superleggera at the event. That reviewed a possible all-electric fastback sedan, billed as a "near future study" of how modern luxury might distinguish itself in the age of EVs. The SUV will be based on the same platform as the Lagonda luxury saloon that was revealed earlier. What's more? The vehicle by Lagonda will not only be lovely but also environment-friendly and boast autonomous driving tech. The Lagonda All-Terrain Concept, however, will have its market debut in 2021, even before the Vision Concept sedan. The Lagonda All-Terrain Concept will be the first fully electric product model from the automaker and will lay the foundation for Aston Martin's electrified vehicles moving forward. Andy Palmer, Aston Martin Lagonda's CEO said: "Historically Geneva has always been good for us - the buzz surrounding the stand past year when we revealed the Lagonda Vision Concept was truly remarkable - so it's fantastic to return to the scene of such great success with another world debut". Aston has claimed a range of 644km, as well as a battery pack capable of rapid wireless charging in just 15min.